A view from somewhere on the Kilchoman Crags, looking out over Loch Gorm and out to Ben More on Mull in the distance. 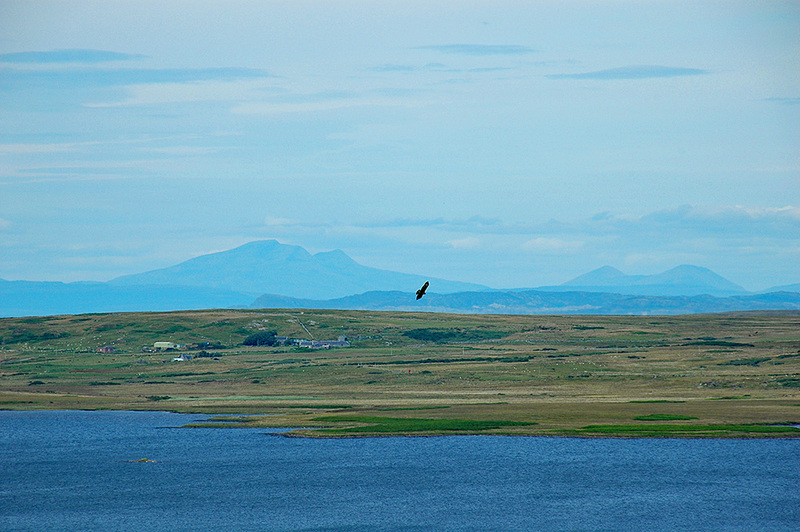 A Buzzard is circling above the loch, probably utilising the thermals on a summer day on Islay. This entry was posted in Cloudy Weather, Freshwater Loch, Landscape, New Post, Sunny Weather, Wildlife and tagged Ben More, Buzzard, Islay, Loch Gorm, Mull by Armin Grewe. Bookmark the permalink.